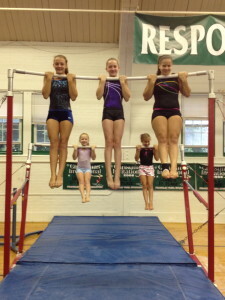 We are extremely fortunate to have a separate facility for gymnastics, allowing us to keep equipment set up year round. Jennifer Jubec, Gymnastics Coordinator and Kari Harkins, Head Coach, bring tremendous knowledge and expertise to our gymnastics program here at the YMCA. Class participants who have attained required skill levels will be invited to join the YMCA Aerials Gymnastics Team. The competitive team is by invitation only. Practices for levels 2-9 are held during the week and Saturdays, year-round, with meets held on weekends. See practice schedule above.